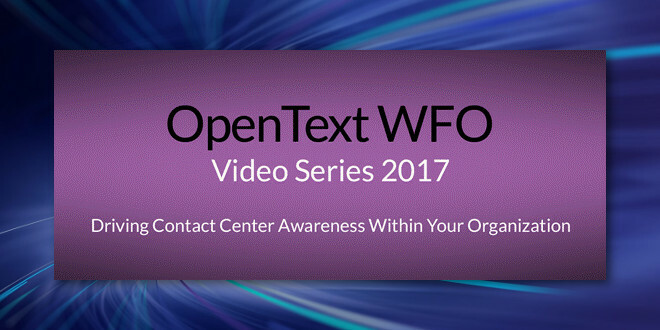 OpenText™ "WFO Video Series: Driving Contact Center Awareness" - Open Text Web Solutions Usergroup e.V. OpenText™ "WFO Video Series: Driving Contact Center Awareness"
In much the same way, I often see the normal cast of characters: CEO, CFO, CMO, COO, CIO, CTO…involved in strategy, but painfully unaware of the role that their contact center plays in driving corporate customer experience goals. So to help you drive contact center awareness, OpenText WFO Software is launching a new video series with your journey in mind.